Didn’t it seem like we just prepped the homestead for winter? Now here we are enjoying sunnier days, warmer temps, and prepping the homestead for spring! As you know there is so much to do, and it can be easy to overlook some basic tasks. To ensure that you properly get your own homestead ready for spring, look below at some helpful tips. In a few short weeks it will be time to plant your summer garden, so start seed saving now. You can do this easily with paper towels and air tight containers. Save the seeds from items you eat daily, such as melons, peppers, tomatoes, and even strawberries. When it comes time to plant, you will have a plethora of free seeds to work with. 2. Begin your indoor seedlings. If any of your seedlings need to be started indoors, now is the time to get them planted. 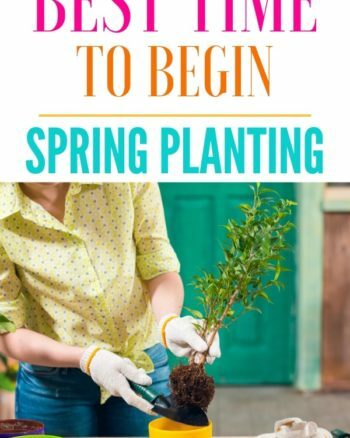 Start vegetable and leafy green seedlings now so when the warmer temperatures hit, you have healthy and sturdy seedlings to plant in your garden. Your local home and garden store offers so many types of growing kits perfect for getting the job done. 3. Chicks or no chicks? Will you be adding chickens to the homestead this year? 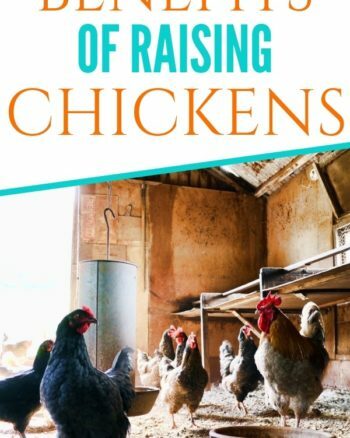 If you are on the fence be sure to read my post the Benefits of Raising Chickens. If you decide too, now is the time to purchase those fuzzy little fellows. Start thinking about their housing, food needs, and how many you would like to have in total. Farm and feed stores will start to run deals on these chicks during the spring and into the early weeks of summer. A DIY Chicken Coop would be perfect for your backyard ladies. 4. Make note of any damage that occurred because of winter snow, ice, and winds. Go around the home both inside and out and make note of any damage that has occurred because of winter snow, wind, or ice. This should be damage to the roof, windows, fencing, landscaping, etc. Make a note and lay out a plan to get these items fixed so they are in tip top shape for the summer months. 5. Start clearing away your garden plot. 6. Turn up your composting game. You really want to turn up your composting game now. A Beginner’s Guide on How to Compost will help you understand just what compost is and how to do it. You will need a lot of compost now that growing season is here, so don’t toss any of those scraps. Get an additional storage container if you need to, so you can turn all of those nutrient rich scraps into black gold. 7. Clean out or craft a rain barrel. 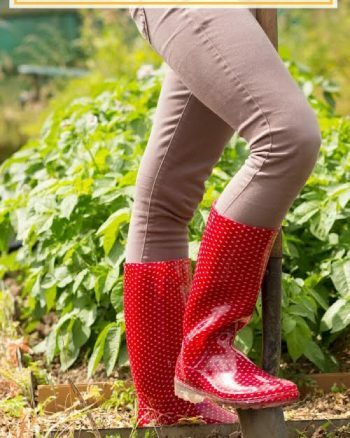 Clean out or craft a rain barrel so you can start saving those April showers! This helps cut down on your water costs and gives you a natural resource for watering your plants, garden, landscaping, etc. There are tons of rain barrel tutorials on the internet worth trying out if you don’t already have a rain barrel in place. Prepping the homestead for spring will be easier if you give these 7 tips a try. 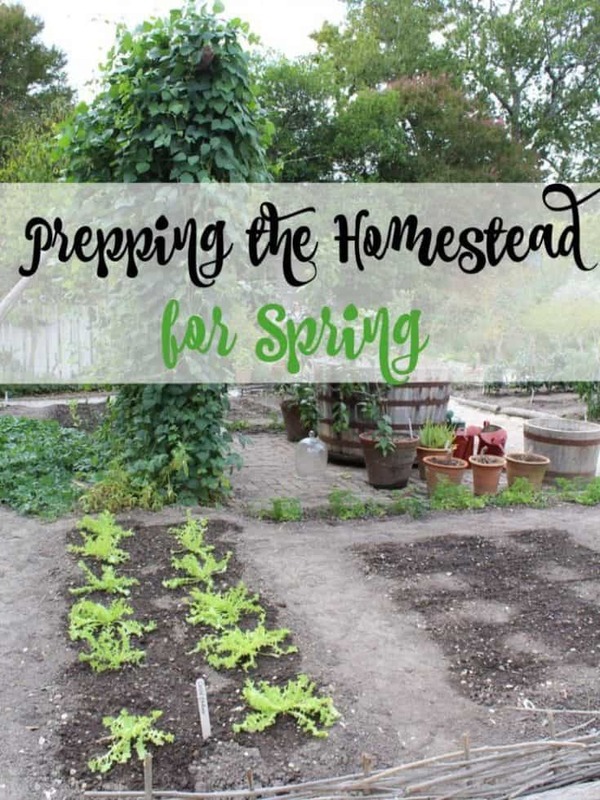 These tips for preparing the homestead for spring can help you make the most of your land so you can enjoy a prosperous spring and even summer!